A lot of you have been wondering when a new version of Bauer-Puntu was going to come out. I had to stop making it for one main reason. 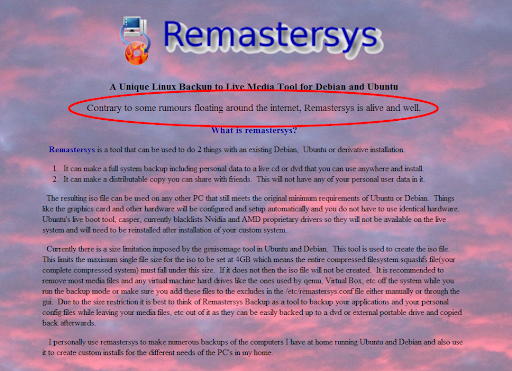 It is because Remastersys packed up shop and went away. That was back in October of last year when I found that out. You know, right in time for Ubuntu 11.10 to come out. Bad timing, and bad luck! I tried messing with Re-Linux but I could never get the ISO I made to boot, so I just gave up. Well today I decided to Google Remastersys to see if anyone had picked up the pieces left behid and I found this at Remastersys.com! Do you smell that? It's starting to smell a lot like Bauer-Puntu 12.04!